Hughes Network Systems is developing a global satellite network named Spaceway, which will provide high-bandwidth and high-speed communications for broadband and multimedia applications. The North American constellation will include two BSS-702 geosynchronous satellites and one in-orbit spare. The satellites are the next generation in satellite communications technology, transmitting and receiving up to 100 times faster than conventional telephone lines. 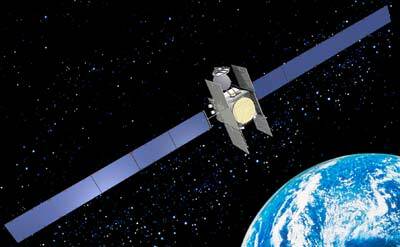 Spaceway North America will operate in Ka-band. Due to less than expected demand, DirecTV Group Inc.may use two new satellites to provide more for high-definition TV, programming instead of an Internet-access service that the company had planned. It may also use them to offer both services. Boeing modified the first two satellites for bent-pipe Ka-band communications for use in high definition television and disabled the regenerative on-board processing of the original system that was to be used for broadband satellite communications. The first of the three satellites was scheduled to be launched in 2003 by Sea Launch on a Zenit-3SL (2) booster but was delayed to 2005. The Spaceway 2 satellite has been moved to an Ariane-5ECA launch vehicle to enable a launch of both Spaceway 1 and 2 in 2005. Spaceway 3 was moved in 2007 also to Ariane-5 in the aftermath of a Zenit-3SL (2) launch failure.